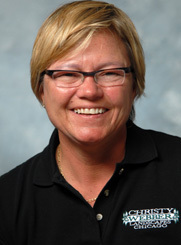 Webber is owner of owner of Christy Webber Landscapes, a top women-owned business in Chicago. She donates to numerous LGBT and political causes. In 2008, she had a baby, carrying the inseminated egg of her partner Jenny.